From Goodreads: She doesn’t see dead people. She senses when someone near her is about to die. And when that happens, a force beyond her control compels her to scream bloody murder. Literally. My Reveries and Ramblings: Kaylee is trying to make her way through high school with as few problems as possible. Keeping a low profile at home and school is the only way to keep herself off the medication and out of the hospital. Her uncontrollable screaming around a dying person causes her to have a hard time being normal. After helping Kaylee stop her scream, before it happened, Nash, her swoon worthy crush, helps Kaylee learn who she really is. Kaylee is a Bean Sidhe. They scream, or wail, when someone dies. Although, male Bean Sidhes hear a mournful yet beautiful song instead of a scream-but to everyone else it’s just a high pitched loud and long scream. When girls literally start “dropping dead” Nash and Kaylee enlist the help of a Grim Reaper, Tod, to help them solve the mystery. I felt bad for Kaylee. She had to deal with a lot, especially with her family, before Nash stepped in and helped her. Speaking of Nash, my goodness, if only he would sing softly to me in my ear! I loved Nash. He’s so down to earth. He made Kaylee feel comfortable and not freaked out about who she was. Tod was hilarious. I really liked him. It was fun reading the dialogue between Tod and Kaylee. The mystery was good, it wasn’t that suspenseful but I still wanted to keep reading. The end was really good! The twist at the end took me completely by surprise. I would recommend this book! It was a refreshing take on the supernatural -mixed with a bit of mystery. I give it 4/5. 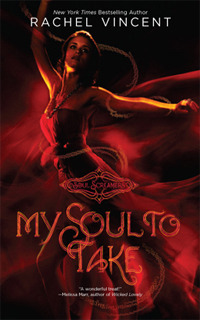 From Goodreads: Katsa has been able to kill a man with her bare hands since she was eight — she’s a Graceling, one of the rare people in her land born with an extreme, and in her case horrifying, skill. As niece of the king, she should be able to live a life of privilege, but Graced as she is with killing, she is forced to work as the king’s thug. When she first meets Prince Po, Graced with combat skills, Katsa has no hint of how her life is about to change. She never expects to become Po’s friend. She never expects to learn a new truth about her own Grace — or about a terrible secret that lies hidden far away… a secret that could destroy all seven kingdoms with words alone. My Reveries and Ramblings: A Graceling is a person born with a magnified skill. Gracelings, who have two different colored eyes, are considered property of the King. 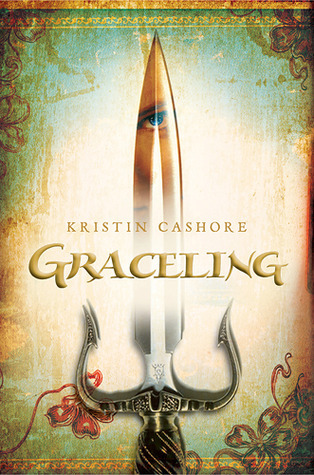 Katsa, a Graceling, is used by her uncle, the King, as a killing machine. She doesn’t like killing or violence and only uses her Grace if there is no other option. During a rescue mission, she meets and fights Po-the only person who ever put up a challenge for her. After knocking him out, Katsa resumes her mission, only to meet Po again when she returns. Both set out to solve the mystery surrounding the kidnapping and rescue. I liked this book. I loved the world and the whole concept of Graces. I really wanted to love the book, but there were a few things that I just didn’t like. They mostly revolved around the ending. I just didn’t like it. What I did like was the suspense and how Katsa was strong and independent. I liked Katsa and Po’s relationship and how their personalities complemented each other. Leck creeped me out-as he should. Bitterblue reminded me of my niece. I liked how Katsa felt almost maternal towards Bitterblue. Overall, it was a good read. I give it 3/5.